Did you know that there is a certain type of blog post that makes up 10% of a blog's repertoire, but are responsible for generating 38% of total blog traffic? If you do the math, that means just one of these special posts brings in the same amount of traffic as six regular posts. In a recent study, we investigated these standout posts, which we call “compounding posts," and discovered that they're found in all types of business blogs. Yep, even yours -- you just have to know how to find them. 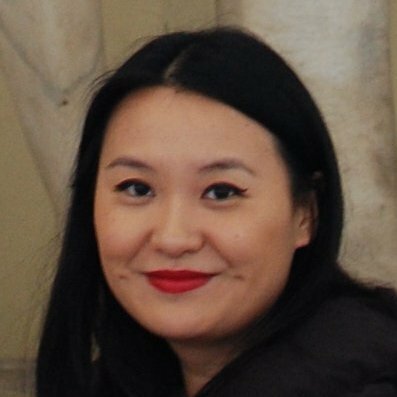 Before we dive into the data we have, let's do a quick recap of what compound posts are in the first place. The signature characteristic of compounding posts is that they eventually surpass the initial traffic that they generate soon after publication. Compounding posts may not necessarily be blockbusters when they’re first published, but their structure and substance are so relevant that they continue to deliver value and grow traffic organically -- no additional marketing needed. Here’s a real life example of one of HubSpot’s compounding blog posts. Starting in November 2013, you can see traffic increasing and surpassing the initial traffic the post received in its first month. Sometimes traffic dips -- so it’s not a constantly growing line -- but overall, it consistently exceeds the initial traffic it received. These posts are amazing assets to blogs because they just build more and more traffic to your site without you or your team needing to expend any further energy. Are titled in a way that reflects common SEO best practices. Compounding titles contain words that suggest certainty and utility, such as “How”, “What”, “Why”, and “Best” -- and it’s no coincidence that people often search for ‘how to do x’ or ‘what is the best y’. 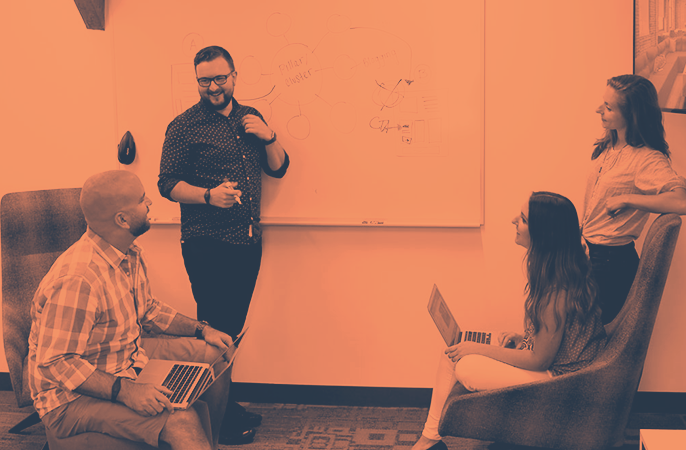 Generally HubSpot receives a large amount of traffic upon initial publication, so our compounding posts aren't necessarily standouts in the first couple of months after going live. 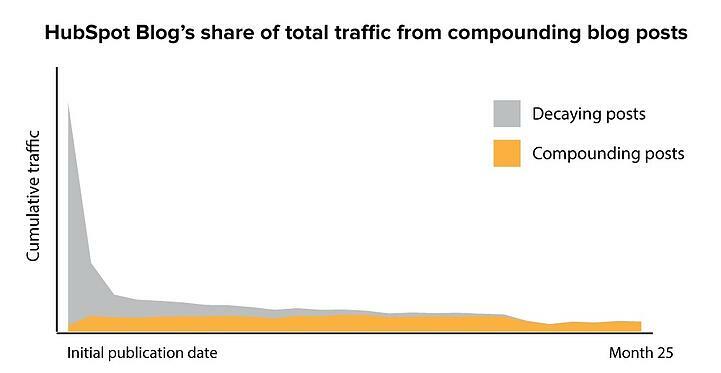 However, as time goes on, the majority of traffic we receive is from older compounding posts. As we found in our historical optimization experiment, older posts generating large amounts of traffic can be a blog’s bread and butter. What Do HubSpot's Compounding Posts Look Like? 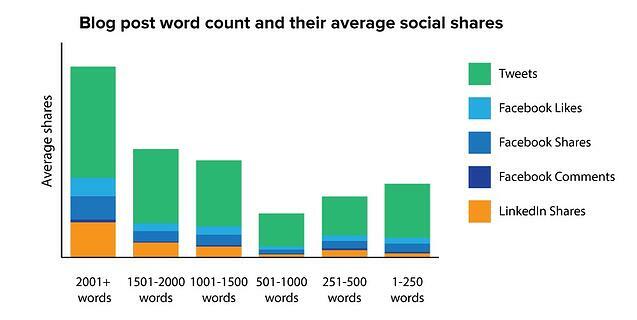 In general, posts with 1,000 or more words receive more social attention, but we also found that very short posts (those with fewer than 250 words) perform better on social media than posts with 251-1,000 words. 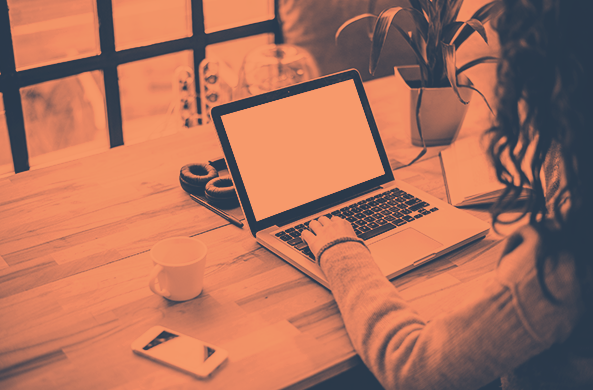 Typically HubSpot’s short posts are infographics or promotional posts about recently launched ebooks, which more naturally lend themselves to be shared socially. 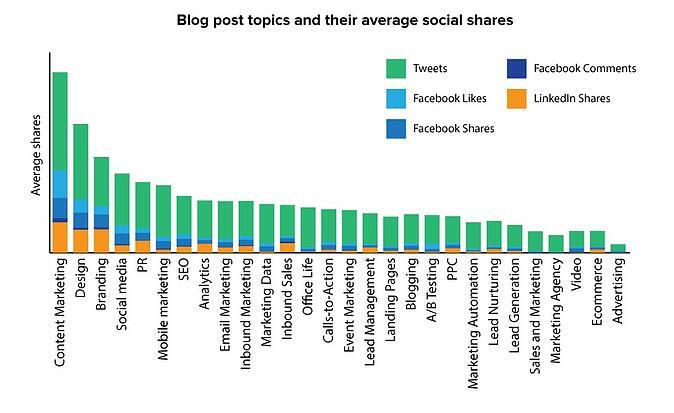 However, longer posts are clearly the social winners for the HubSpot blog. 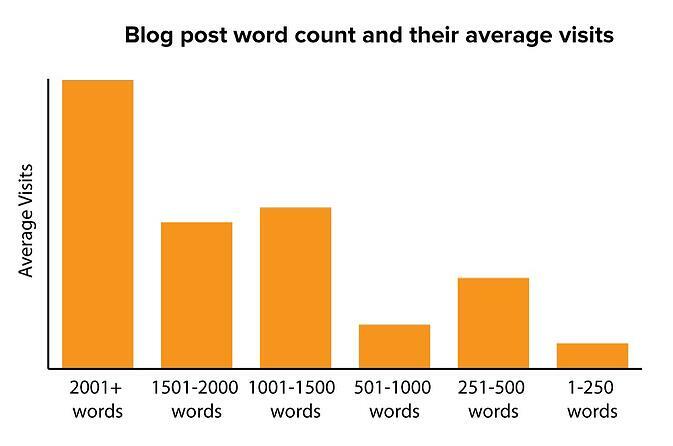 We calculated that posts with 2,000 or more words generate 4.3X the social shares generated by a post with 501-1,000 words. Finally, Twitter is the primary source for sharing across the board. LinkedIn, which targets our readers' business contacts, often outranks Facebook shares. Since we are a B2B company, it makes sense our content would be shared out to our visitors' professional contacts on LinkedIn rather than their personal network. Do you want to learn more about the impact of compounding posts and how to craft them for your blog? Click here to download Compounding Blog Posts: What They Are and Why They Matter.